A series of ultra-secret missions carried out in the Mediterranean Sea and Europe’s Atlantic coast began with a 14-year-old building a wooden boat to go fishing in New Jersey. 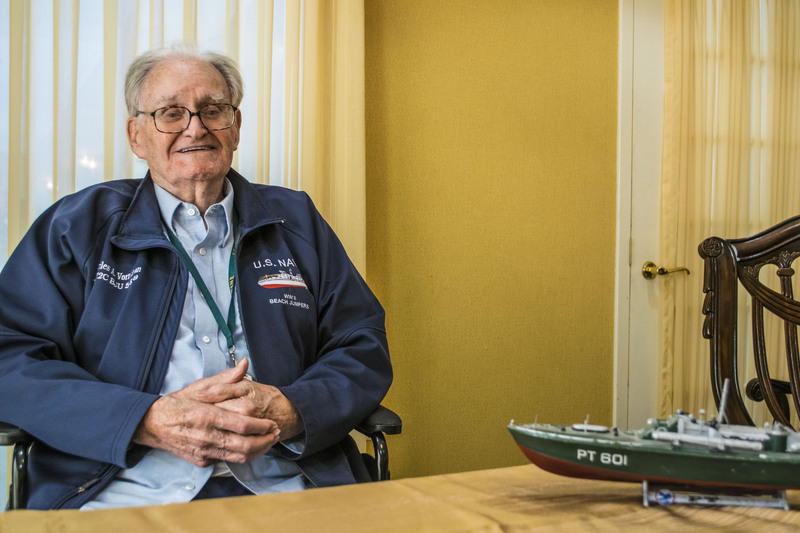 Brick resident Charles Vorndran, now 94, would later take the lessons he learned from boating in the Garden State and use them to conduct some of the world’s first instances of modern psychological and electronic warfare in World War II. His then-classified missions are credited with saving thousands of Allied lives and serving as one of the building blocks to modern Navy SEAL teams. Vorndran was going to be an American hero no matter what. After the Japanese bombed Pearl Harbor on Dec. 7, 1941, he rushed to a U.S. Army Air Corps recruiting station. But since he was only 16-years-old, he needed his parents’ signature to join. They didn’t give in. But two years later, a new mission would await. The “project” for which Vorndran signed up would turn into one of the most immensely complex operations of the European theater – and it included training not unlike the kind that today’s special operators experience. Vorndran’s mission, he soon found out, would be to lead about 20 small boats close to the shoreline of enemy territory and utilize a combination of lights, explosions, electronic jamming equipment and sounds to fool the enemy into believing an invasion was underway. Meanwhile, Allied troops would be conducting a real invasion at another location. The group of men responsible for the missions would become known as the Beach Jumpers. But before they could undertake some of the most isolated and dangerous missions of the war, the group had to learn from the best. Vorndran soon met famed Navy Lt. (and Hollywood actor) Douglas Fairbanks Jr., who personally trained the American sailors based on techniques he had developed in England. The rigorous preparation for the audacious plan took place at the Amphibious Training Base at Camp Bradford, Va. By the end, Vorndran found himself a member of Beach Jumper Unit One, the first of 11 such units to be formed during the war. The training was excellent, he said, but his team would be tasked with deadly missions on a frequent basis. In addition to the psychological and electronic warfare components, his missions also included navigating, at night, deep into enemy waters to drop off spies or collect intelligence – all with a team of only 20 men in small, inflatable boats. His first missions were in northwest Africa and the western Mediterranean. The Beach Jumpers started out their missions in what were known as “crash boats,” modified 83-foot PT boats, as well as 63-foot double-hulled wooden air-sea-rescue boats. They were outfitted with twin .50 caliber machine guns, 3.5-inch window rockets, plus explosive packs and torpedoes. Each boat was manned by a six-man crew. The most important tool, however, were the “smoke pots” that each sailor carried with them when they boarded the smaller boats to take them near shore. Vorndran’s boat was almost always the most exposed, despite the precautions. The Beach Jumpers’ missions pioneered modern special warfare. Pointing to a conference table in a room at Brandywine Living at The Gables, where he now lives, Vorndran said the boats would include an electronics suite about equivalent to that size. The equipment consisted of a multi-component “heater,” a wire recorder, five-phase amplifier, ZKM jamming transmitters and a 1,000-watt 12 horn speaker. The speakers would transmit sounds that ranged from bombs exploding, to radio chatter, to men yelling, to anchors dropping in the water. 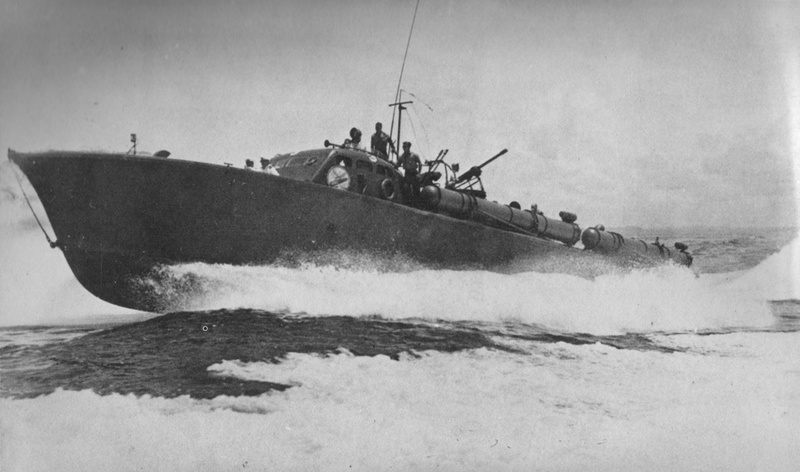 The small boats also carried MK-6 Naval balloons, which intentionally increased the size of the boats’ radar cross sections in order to trick the Axis troops into believing a much larger fleet of ships was offshore. One of the team’s first such missions was near Cape San Marco, Italy, where the Beach Jumpers successfully convinced the enemy to stage about 100 miles from the actual landing area of an Allied invasion force. That force was launching Operation Husky, where the Allies took Sicily. Had it not been for the Beach Jumpers, thousands of casualties could have resulted as American troops would have met an exponentially larger enemy on shore. It was later found out that their efforts diverted an entire German division away from the real landing site. On another mission, Vorndran and his team were ordered to destroy a German radar station along the French coast. The team snuck through an inlet, detonated the smoke bombs to avoid giving away their location, and fired rockets at the tower, destroying it. They then had to make an escape. The missions ran from 1943 through the end of the war. Along the way, the Beach Jumpers received additional training as their assignments became more dangerous. Vorndran was trained in advanced hand-to-hand combat, including the ability to disarm an enemy who was pointing a gun at him. The Beach Jumpers’ heroic skillset was never used in any meaningful way in the Pacific theater, mainly due to the geography and decisions made by Navy leadership at the time. After the allied victory in Europe, Vorndran was transferred to Okinawa and resumed his role as a radio operator since that position was in high demand. The Beach Jumpers’ final mission was supposed to consist of training Austrlian sailors in their techniques, but the plan never materialized, and the war against Japan ended with the the atomic bombings of Hiroshima and Nagasaki. Through all his dangerous missions, Vorndran said he was never scared. A Jersey boater, of course, is rarely deterred by rough seas and inlets. He also credits his advanced special warfare training with keeping he and his team members safe. The only worry he had was that his sister might not have been able to handle losing him. His parents, he said, understood what was at stake. Still, Vorndran only began telling his story recently after knowledge of the Beach Jumpers, which were reacted for the Korean War, became public knowledge in the Internet era. “Now the secret’s out, I guess,” he said with a chuckle. “Until eight to ten years ago, he never talked about it,” said Terry Vorndran, Charles’ son, who also lives in Brick and took on his father’s love of boating. “He always said he did top-secret stuff in the Navy, but he was never able to tell us because it was classified,” his daughter, Cheryl said. Charles Vorndran went on to have careers in rail transportation and insurance sales, among a few other jobs along the way. His grandson has served in the U.S. Marine Corps and has deployed to Afghanistan. Thinking back on his Navy career, there are two recurring themes: excellent training and an unwavering sense of patriotism. Vorndran also keeps one vital statistic in his head whenever he talks about his service: its length. “Three years, 22 days and six hours,” he said with a smile.